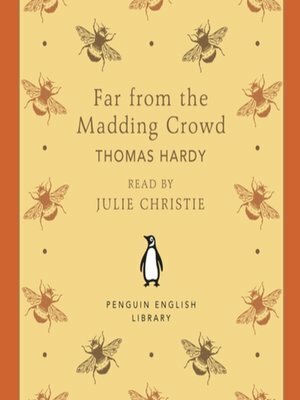 Penguin Classics presents Thomas Hardy's Far From the Madding Crowd, adapted for audio and now available as a digital download as part of the Penguin English Library series. Read by the actress Julie Christie.Hardy's powerful novel of swift sexual passion and slow-burning loyalty centres on Bathsheba Everdene, a proud working woman whose life is complicated by three different men - respectable farmer Boldwood, seductive Sergeant Troy and devoted Gabriel - making her the object of scandal and betrayal. Vividly portraying the superstitions and traditions of a small rural community, Far from the Madding Crowd shows the precarious position of a woman in a man's world. Part of a series of vintage recordings taken from the Penguin Archives. Affordable, collectable, quality productions - perfect for on-the-go listening.